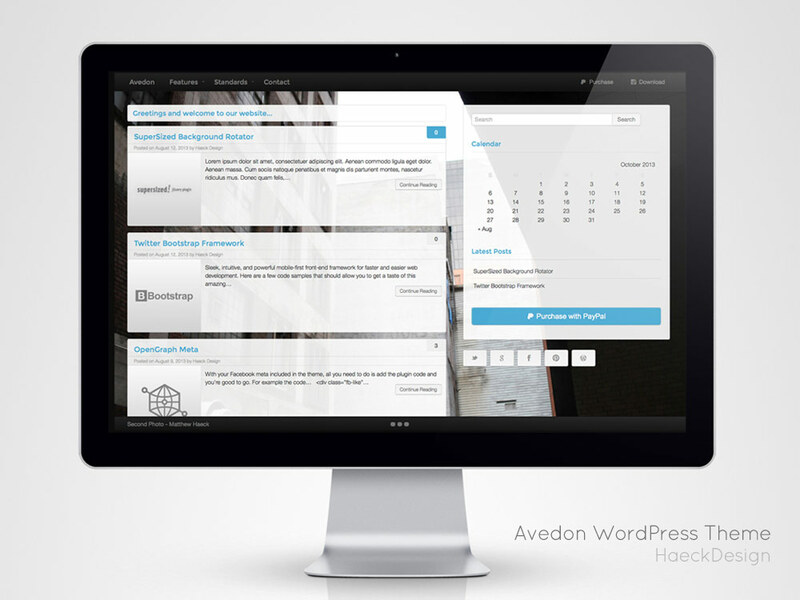 What Makes The Avedon WordPress Theme Tick? 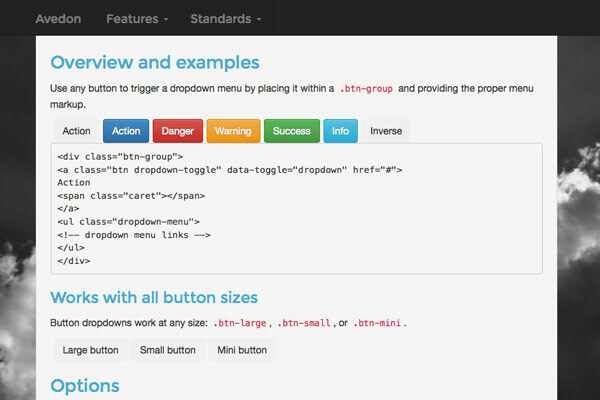 A Bulletproof Bootstrap framework makes developing a breeze. 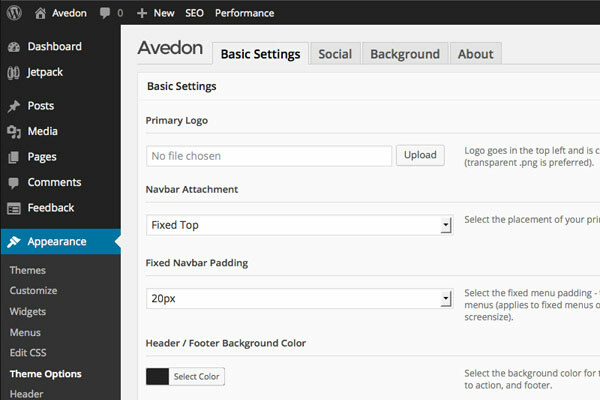 Supersized is a clever fullscreen background slideshow script and the Avedon WordPress Theme utilizes it to provide visitors a smooth rotating background. Images autosize to fit any screen - allowing everything to stay flexible and fully responsive.. 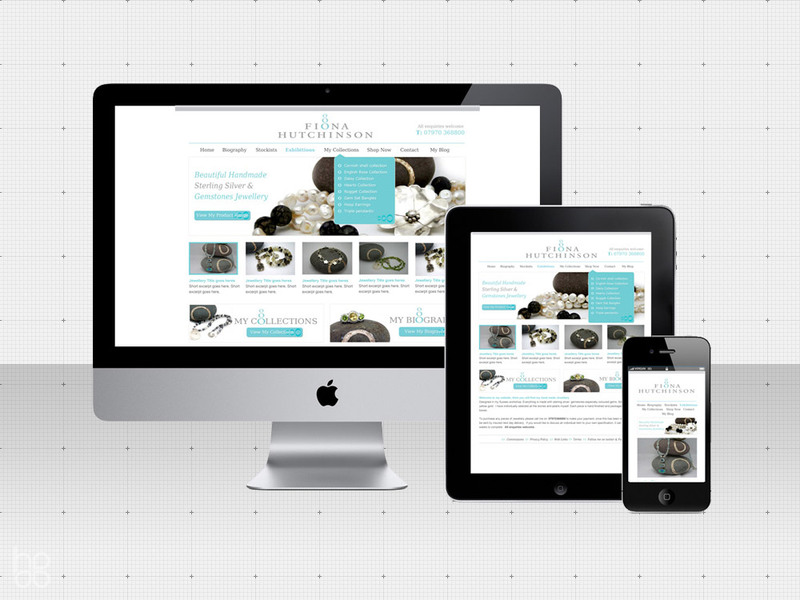 Need different layouts, Google Fonts, Custom 404s, Social Network Icons, Menu locations, etc.? Don't worry - You're covered. 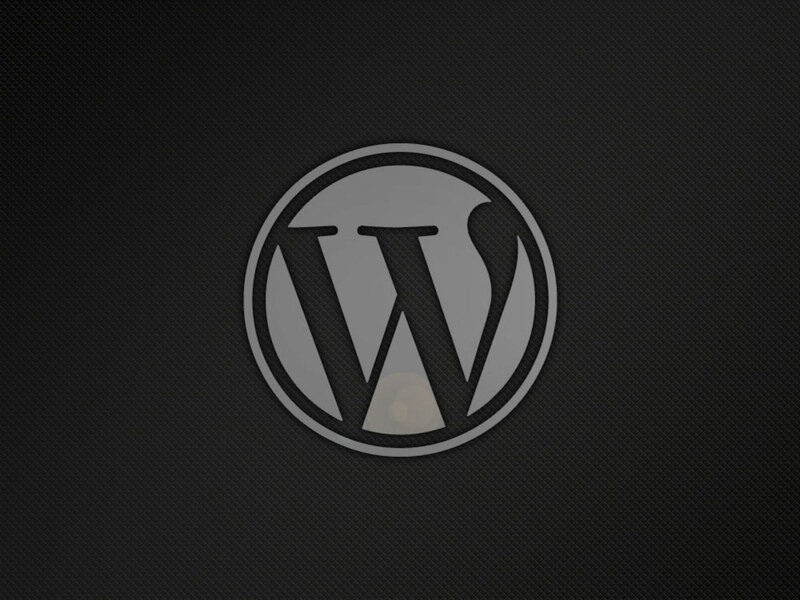 Adjustment on the fly with our simple to use WP admin interface. Minimal code means no plugin conflicts and an incredibly easy layout to build off. Suggested Plugins: Part of any good theme is making sure it interacts well with important plugins. 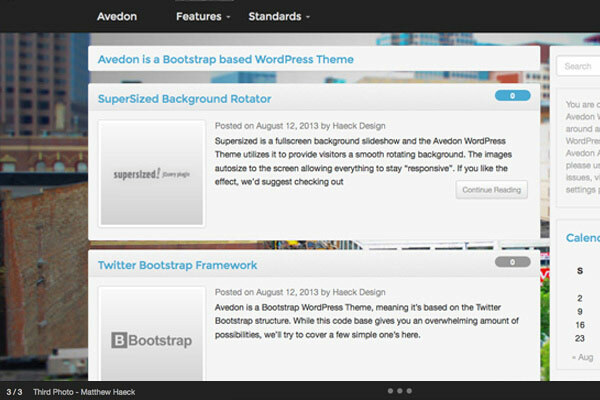 While each project's needs are unique, the Avedon Wordpress Bootstrap Theme Demo only utilizes two amazing WordPress plugins - Yoast SEO & W3 Total Cache. Any solid developer should be familiar with these two tools and in our case, they really provide all the SEO and delivery optimization to keep things remarkably fast and refined. Since they work for us, we'd certainly recommend them for you. 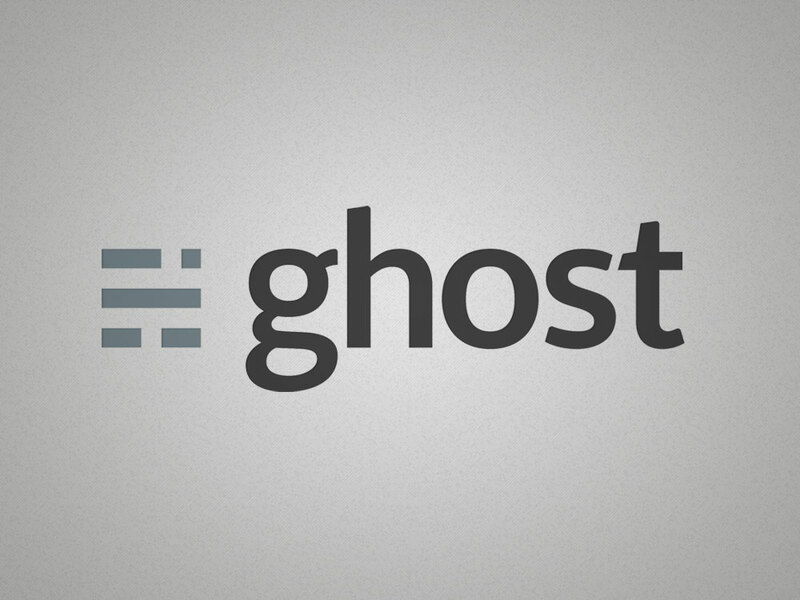 In the battle for CMS supremacy, Ghost has made waves as a solid ultralight option. Like any other web tool it does need to look good though, that's why we compiled the top free Ghost themes for newbies & pros alike. 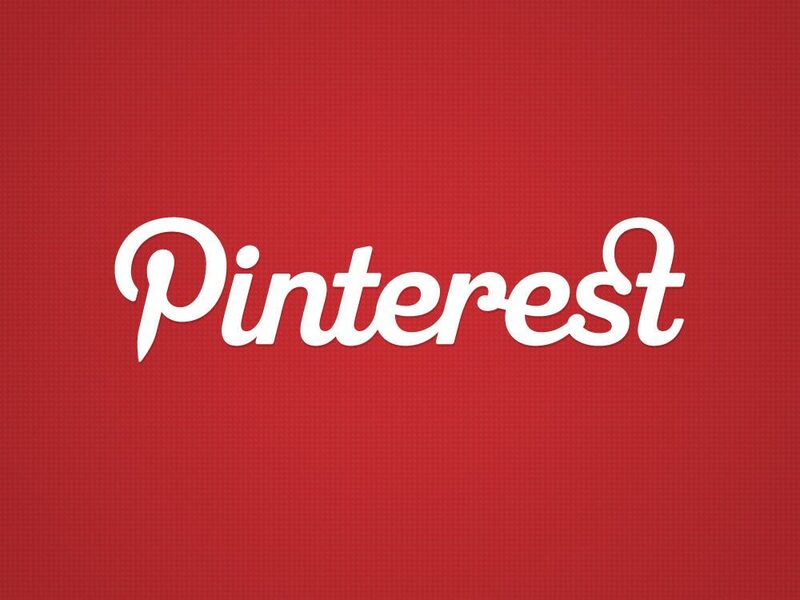 This Pinterest tutorial will help build your Pinterest marketing and branding strategy... and also has a few tips for using it effectively. Utilizing a local development environment is crucial for web developers, but it's not well documented. 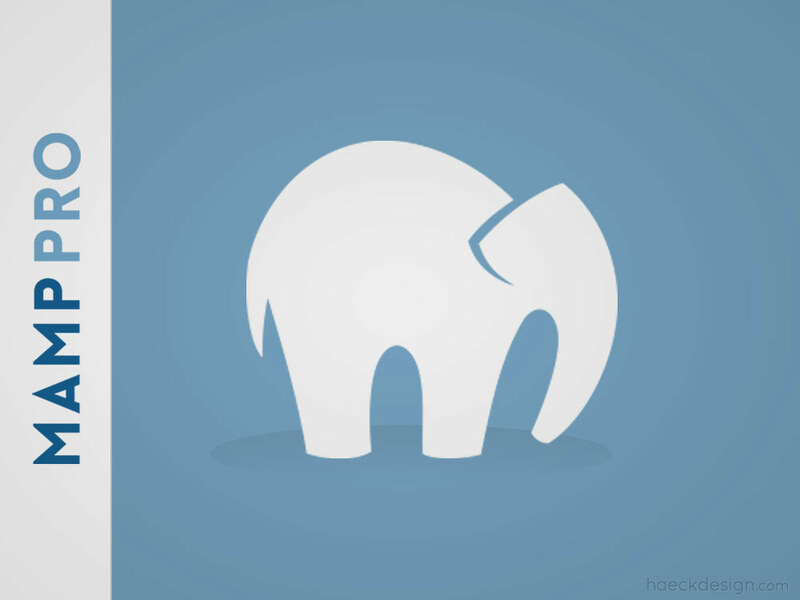 This guide to setting up MAMP will show you how to create your own PHP development server & how to use MAMP efficiently once you're all setup.